Last month, Northern California's picturesque wine country was hard hit with wildfires. We are happy to say all of our partners are open for business. 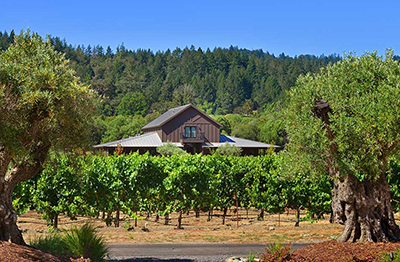 With fires 100 percent contained, wineries, restaurants and hotels are eager for your winning bidders to return. 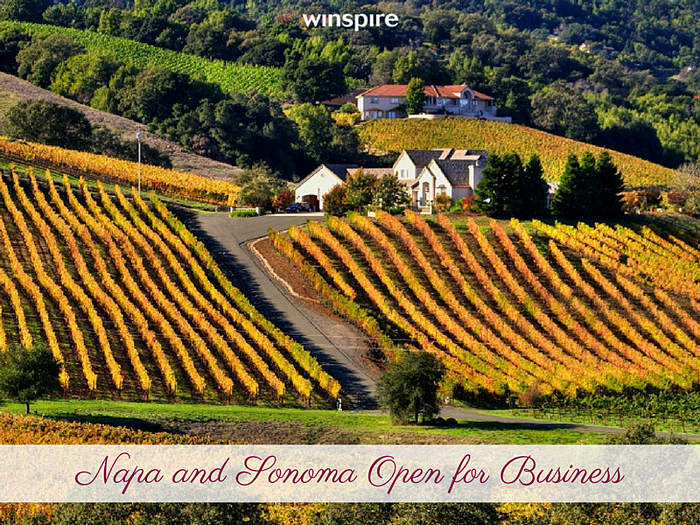 In today's post, see Winspire wine trips making headlines now - like Sonoma Wine & Dine, where your donors can enjoy a tasting with a winemaker whose one bottle of wine just sold for $350,000! Last month's fires were historic, burning nearly 200,000 acres around Napa, Sonoma and Mendocino counties. Despite the tragic devastation in residential areas, the vineyards provided a natural break in the path of fires. Nearly all of Napa and Sonoma's wineries went untouched, and all partially damaged properties have since reopened. Fall should be the busy harvest season for tourism, but misunderstandings about the extent of fire damage have led to what CNN has called "an unprecedented slowdown" in visitors to the region. Locals who work in wine and tourism, some of whom lost everything in the fires, are working hard to get the word out that visitors can and should return. "Tasting rooms are pouring, restaurants are cooking and the colors are changing," noted one Napa Valley resort. "This is an ideal time to experience wine country, and your visit to Napa will help the community rebound." "Everything went exactly on schedule. We knew exactly where we were supposed to be and when we were supposed to be there. The Meritage was lovely and the people there could not have been nicer or more helpful... A few weeks prior to our trip, we were concerned about the fires. We need not have worried. All went well. Our only regret was that more people did not take the opportunity to visit this beautiful area (even with the fire destruction). The people in that area are really hurting! Please encourage more tourists to visit! Thank you for a wonderful vacation!" 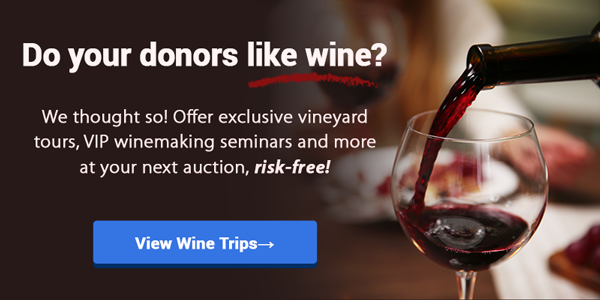 Want even more reason to send your donors to wine country? See below for a few highlights from new and exciting Winspire wine trips in 2018. Two highlights of our Sonoma trips: a private tasting with critically-acclaimed winemaker Jesse Katz and a delicious meal at Valette. Travelers head to downtown Healdsburg to enjoy a private wine tasting with highly acclaimed winemakerJesse Katz. Not only was Katz the youngest person ever to be hired as a head winemaker in the United States, he was the first winemaker to make Forbes Magazine’s 30 under 30 “Rising Stars” list...not to mention he created the wine served at Justin Timberlake and Jessica Biel's wedding. As reported by People Magazine, Esquire, Eater and more, a single bottle of Katz's new custom blend sold last weekend at an auction benefiting the Emeril Lagasse Foundation for a record-setting $350,000! 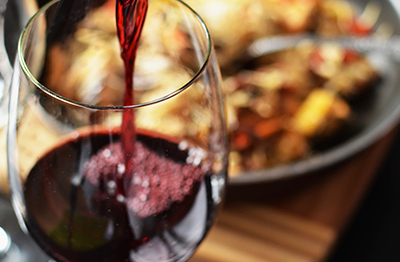 No, that's not a typo - The Setting Wines' 2015 Cabernet Sauvignon became the most expensive single bottle of wine sold at a charity auction of all time. When crisis hit Sonoma, restaurants gave generously to the cause. Dustin Valette, chef and owner of Valette restaurant in Healdsburg, understood the importance of a hot, home-cooked meal to first responders and evacuees who had lost everything. Together with six other regional chefs, they prepared food in their own kitchens, then brought the food to Valette to be packed in aluminum containers and distributed. "Some of these first responders were eating bread, peanut butter and Clif Bars until we got involved," Valette, whose father is an aerial firefighter, told The Windsor Times. "In times of crisis, you do what you can with the crafts and skills you have. For us, that meant preparing food." On Winspire trips to Sonoma, your donors will enjoy a 5-course tasting menu at Valette, just a short walk down the street from Jesse Katz’ tasting room. Valette has quickly become one of the best restaurants in the Napa and Sonoma region, recognized by Wine Enthusiast as one of America's 100 Best Wine Restaurants. Zagat’s review calls it a shining star, describing Valette as “first-class California menu meets high expectations”. Valette is beloved by both locals and local vintners, who enjoy the rustic space with locally sourced dishes. Your donors will rave over its elegant and imaginative menu made from the finest seasonal ingredients Sonoma County has to offer. 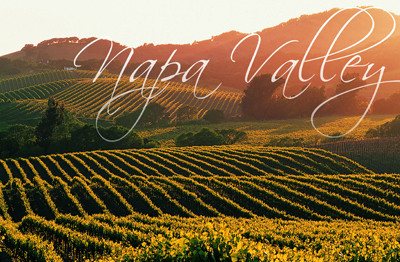 On the Napa side, we have three trips that include deluxe accommodations at the Meritage Resort & Spa. The resort, situated on an eleven-acre private vineyard, can be found at the southern tip of Napa Valley in the Carneros region near where Napa and Sonoma meet. As the wildfires ravaged swaths of Napa County, the Meritage offered major discounts on standard room stays to assist displaced fire victims. The resort also opened up a lounge to the public where anyone could dine for free, charge their phones, check the news, relax and play games. "Our goal in the middle of this chaos was to provide a place where people didn't have to worry about anything," a former general manager at the resort said to CNN. 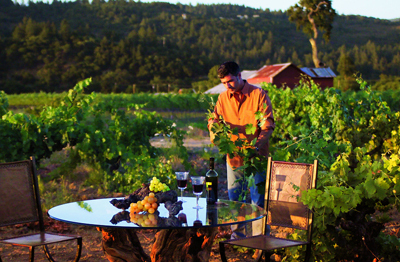 To both first-time and experienced wine country travelers, a stay at the Meritage offers an experience like no other. The resort opened an immense cave of 20,000 square feet in Spring 2007, carved in the hillside under Napa's famous Grape Crusher statue. The Estate Wine Cave features wine country's only underground full service Spa Terra, the Trinitas Tasting Room, and the Entertainment Cave available for private dinners and weddings; all built underground with artisan stone, tile, and woodwork. The Meritage Bar features regional wine selections and signature cocktails in a setting of rich, polished wood and romantic lighting. Winspire is proud to offer several bestselling trips that include deluxe accomodations at the Meritage. Winners of these trips enjoy a 3-night stay at the Meritage, including daily continental breakfast for two. Lavish guestrooms include plush beds, marble baths, plasma TVs and more. Other amenities include a bottle of wine per stay, bottled water, business center and fitness center, parking, shuttle to golf courses, evening shuttle to downtown Napa and more. Your donors' purchase will benefit your organization, help a struggling community rebuild, and most importantly - become lifelong memories in wine country. There's simply no better time to travel.